Two hands, ten fingers, a voice, and a body that moves. Pick up a tool. Say something. Since the cavemen, people have been picking things up and making marks; from the earliest known cave drawings to today’s digital media. 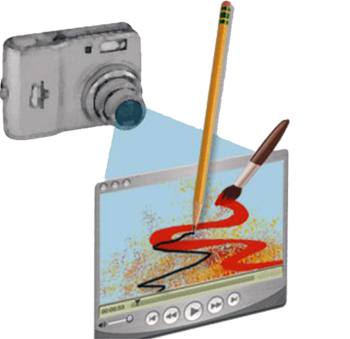 Pens, pencils, crayons, Craypas, charcoal, pastels, paints, pigments, ink, laser light, light, film, video, web, etc., present a wide range of media for the creative imagination to explore. 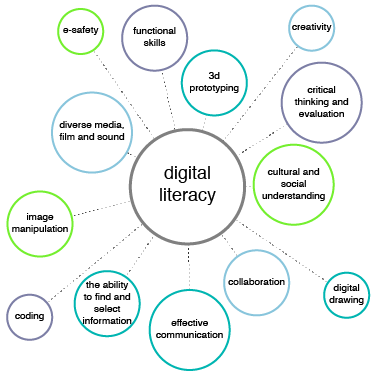 Each medium communicates ideas in different ways and can be used in diverse combinations. Media helps us to express ourselves, our ideas and our visions, to capture the known as well as the unknown and invisible and to share these communications as a voice for culture. Convergent media is a contemporary expression that celebrates the fluid use of many types of media across a broad band of culture giving voice, together, for their best purpose. Activity 1 – Make Your Mark! Get a set of watercolor paints (or craypas or water pastels) and one or two paint brushes. Wake up early one morning and try to paint the colors of the sunrise. Wait until dusk. Try to capture the grays or purples of dusk. Paint a rainbow. Paint a waterfall. Paint a farm field in the fog. Water color is fun to experiment with. Wash clear water on your paper then add pigment. Try different consistencies. Experiment with different colors then let it dry. Using an ink pen, find forms in the irregular shapes of the colors to draw. Think of the Caves of Lascaux. Think of human expression. Experiment with wet wash, try painting in portrait and in landscape, try using white crayon images first then washing over the lines. Make your mark! Capture a moment in time. Record the present. Document the past. Using a disposable or a digital camera on automatic, study your environment and the people in it. Look closely. 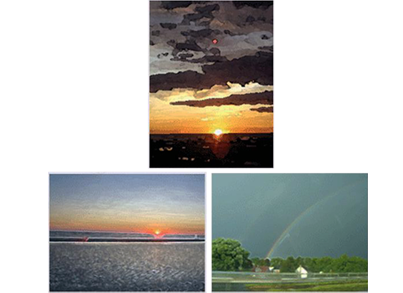 Find and compose images that reveal the essence of a situation, object or environment. Be patient. Look closely. Frame an idea. Frame a sequence. After you collect a series of photographs, take it to a photo-processing center and print the photos. 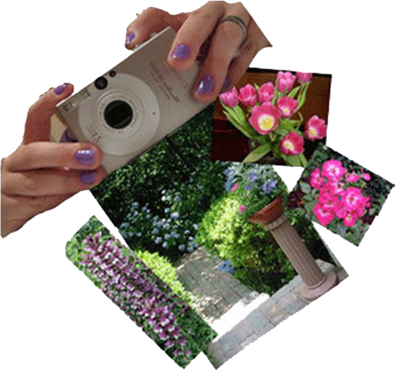 When the photos are finished, you can tape or glue them to a board or you can scan them into the computer and place them in a text or graphics editing program to enlarge, reduce or change the photos using the image manipulation software. You can share them via the web! If you use a digital camera, your camera probably has settings such as automatic, scene, portrait, landscape, sports action, etc. to help you take the best possible shots. Once you experiment with taking pictures, you can download your photos into the computer via a cable. Once saved to the computer, photos can be saved as a variety of formats to share online, print or manipulate. Document a time in time. Video cameras can be used to observe and record daily events and living. Videos can contain action or suspend action. Videos can be real time or sped up to happen in fast motion. Videos capture time and space relationships and can be used to observe, portray, investigate, simulate and interpolate life! 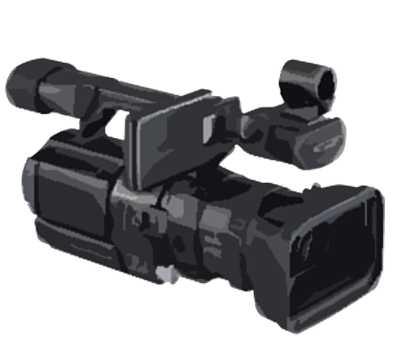 To shoot video digital footage, you must check out a video camera. Be sure to read the instruction manual, as all cameras are a little different in terms of their step-by-step procedures for recording, replaying footage, erasing, etc. Video cameras also have settings such as automatic or manual which regulate focus and light adjustments. Most of the video you shoot will need to be cut or edited to tell your story in sequence. Video is moving life recorded and can bring alive people and places and stories and events. Videos can bring back a breath-taking memory in the flash of light. Web Design is researching free Build a Website sites for kids. If you use a good one, please email a nd let us know! The first known media was two dimensional. Imaging can be done in many ways. Gridded transfers were an early way to translate 3 dimensions of a scene to 2 dimensions. Analog cameras register light on photo sensitive paper. Digital cameras record binary (0 and 1) information to reveal images.